Expat-run youth soccer development organization International Football Education is launching a new student-led weekend training program for kids aged 6-13 from this Sunday. The program will organize kids into teams of three, four or five players, depending on age, who will play together for a 13-week season. The season, run in English, will be a mix of training sessions some weeks and matches on others, with coaches observing during matches to give feedback and guide the coaching sessions. Philip Neiland, director of soccer at IFE, said the idea was to put training back in the hands of the players to encourage them to take responsibility and work together as players. “I believe in life, experience is the best teacher and in soccer the game and the ball are the best coaches. Throughout the years, since its inception, IFE has constantly been innovating, updating and staying ahead of the curve to ensure the best educational opportunities are available for its members,” said Neiland. Players will be separated by age, ages 6-7 playing in teams of three, 8-9 playing in fours and 10-13 playing 5-a-side with small goals. The idea is to maximize players’ involvement in the game. Players will also play to an honor code, without referees, coming to decisions on their own. During the games, coaches will identify players’ strengths and weaknesses, as well as good ways to improve and potential things to watch out for. They will give players feedback in discussion after the game and use their observations to steer the training sessions. 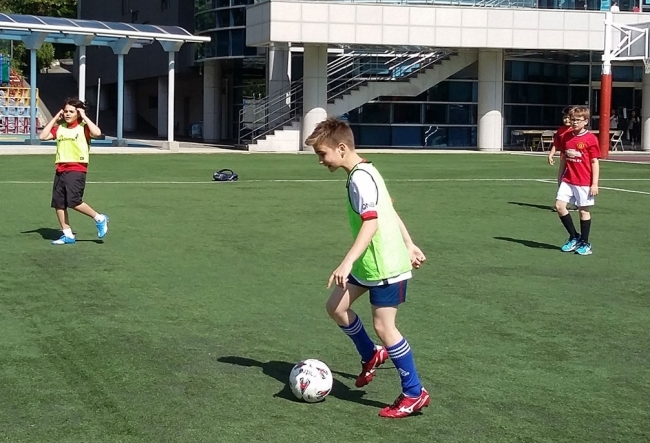 IFE Soccer has been involved in youth soccer development in Korea since 2008, including academy teams and after-school programs, with coaches from Africa, Asia, Europe and South America. The sessions will take place Sundays between 11 a.m. and 2 p.m., though the exact schedule depends on the age group. For more information, contact info@ifesoccer.com or 010-2500-7828.